Do you remember those old nifty 35mm disposable cameras you used to buy at chemists and newsagents? Well here is a much better replacement (and you dont have to throw it away!). 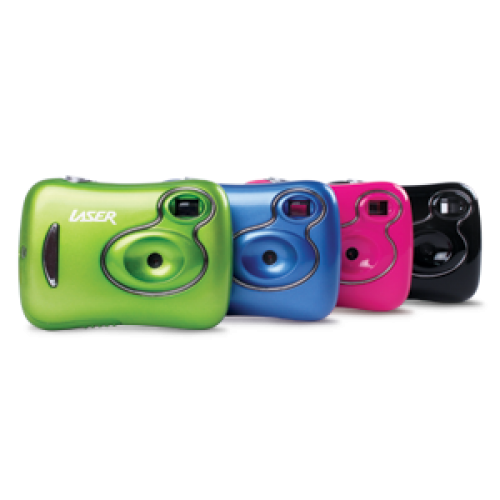 The "Digisnap" is a pocket digital still camera which uses an advanced CMOS sensor which produces great quality 1.3MP images ( interpolation) . The Digisnap can also be plugged into your PC to be used as a web cam - great for Skype or MSN. Using everyday AAA batteries, the Digi-Snap camera is great for kids, for wedding guests or as a backup camera.